1. 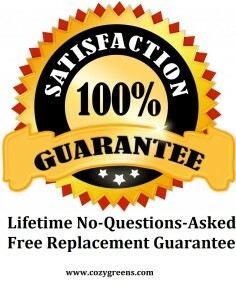 GENUINE COZY GREENS® PRODUCT: All Original Cozy Greens products come with a LIFETIME GUARANTEE. 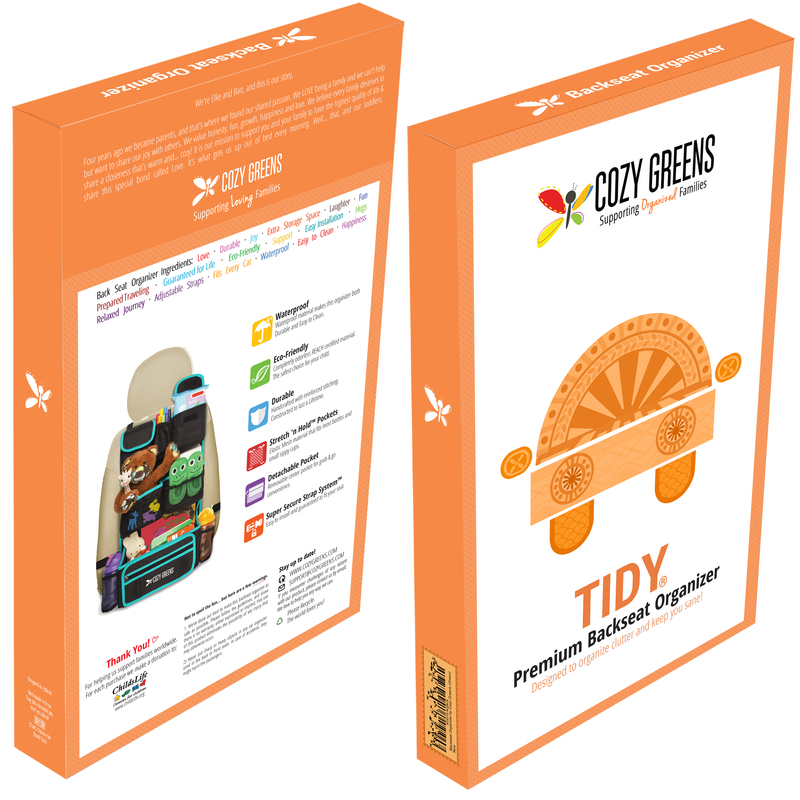 If you have ANY problems with your Cozy Greens Backseat Organizer FOR THE LIFETIME OF THE PRODUCT simply let us know and we will refund every penny of your purchase plus ship you another brand new unit FREE of charge. 2. MOST DURABLE: Your Cozy Greens Organizer is hand-crafted from Top Quality all-NEW REACH Certified materials. Our new material is completely odorless and THE safest choice of material to put near you child. 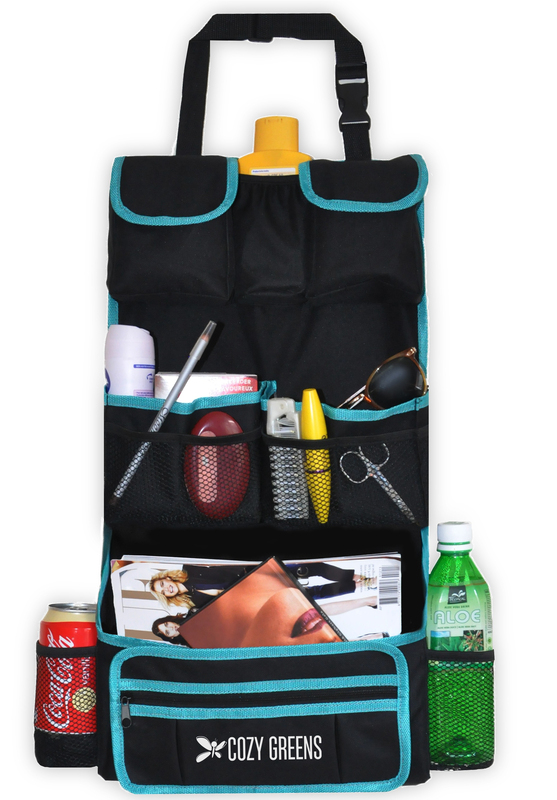 Our organizer's stitching is reinforced on the areas that receive most wear. It won't rip, won't come loose, and won't break. This strong organizer will serve you for years to come. 3. 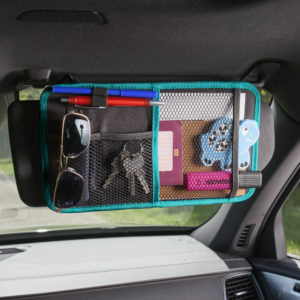 MOST STORAGE SPACE: We have specially designed our organizer to have more storage pockets and unique Stretch 'n Store™ bottle holders superior to any other brand available. Also, our NEW Stretch 'n Hold™ Jumbo bottom compartment is lined with elastic to better hold any item inside. Being parents ourselves, we know how important it is to be prepared and organized. 4. DESIGNED WITH EASE OF USE IN MIND: Unpack your Cozy Greens Backseat Organizer from its Beautiful Gift Box, and enjoy the easy installation by adjusting the Super Secure Strap System™. You will be delighted with the variety of pockets, ideal for holding anything you need for a pleasant journey. 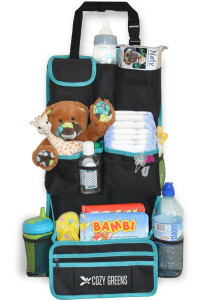 This multi-purpose organizer serves everyone from babies to (grand)parents! 5. A PORTION OF COZY GREENS® PROFITS GO TO CHARITY. As a company, it’s our mission to create love and happiness in the lives of all that we touch. That is why we donate a portion of proceeds from each backseat organizer purchase to Child's Life Chances for Children Charity. 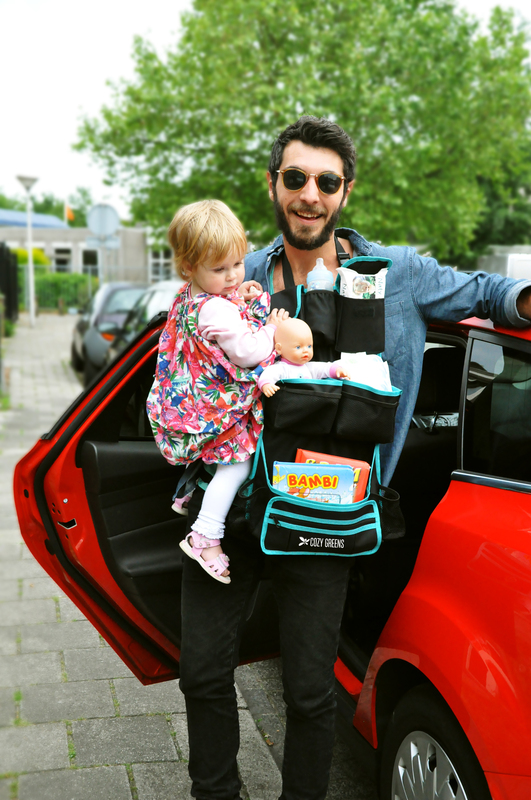 By purchasing a Cozy Greens® backseat automobile organizer, not only are you getting an amazing product at a price you can afford, you are also helping to improve the quality of life for other children. Win-Win! Find out the temporarily discounted price by clicking below link! Cozy Greens®: The Peace of mind that comes with being prepared and organized. 1. You will have a clutter-free car! Never again will your back seat look like a hurricane just hit! 2. Cozy Greens® is the most eco-friendly, safe, and durable backseat organizer available. It is hand-crafted from odorless REACH certified materials that are the safest choice for your child. Our organizer is reinforced on the areas that receive most wear. 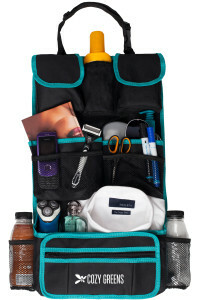 We have meticulously designed this stylish organizer to serve you for years to come. 3. Cozy Greens® has the most available storage space. 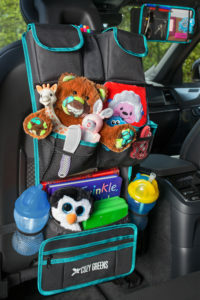 More pockets and our unique Stretch 'n StoreTM bottle holders mean you can fit MORE; anything you need to travel prepared. 5. Brand Integrity: Cozy Greens® is a family-owned business run by dedicated parents of two. We believe in happiness, love and paying it forward. Once you've seen for yourself how handsome and practical our product is, how easy it is to use, and what a difference it makes, we're confident you'll have LOADS MORE than 5 reasons to love it! 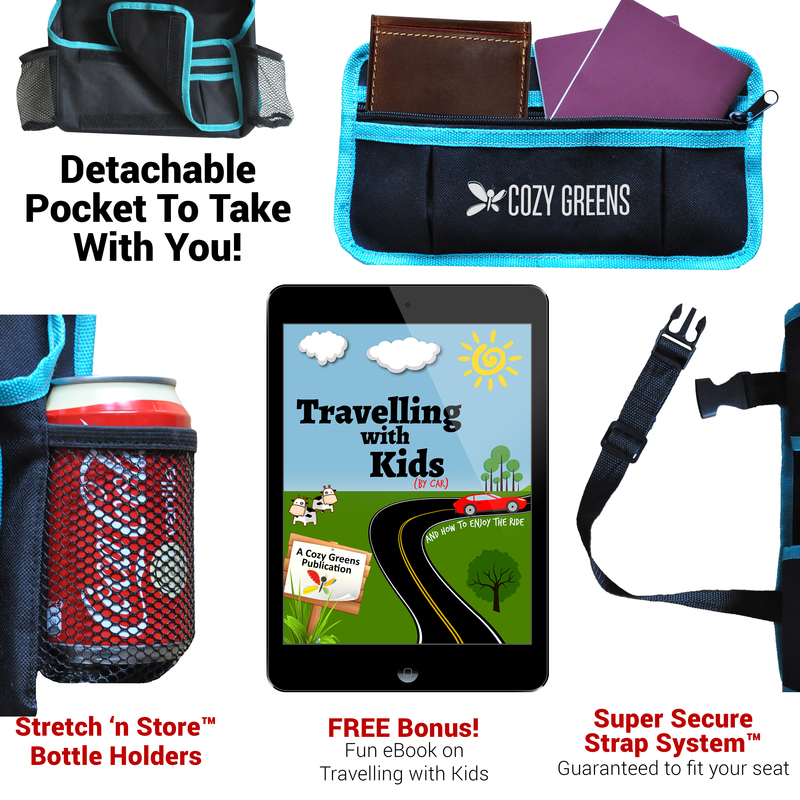 Order your own Cozy Greens® backseat organizer today, and join hundreds of other satisfied customers who LOVE the Cozy Greens difference!